Chances are, you probably drink prosecco on a regular basis right? Maybe even champagne if you’re feeling a bit flush, or possibly cava on occasion? But how about Franciacorta? Most people I’ve spoken to haven’t heard of it, let alone tried it. 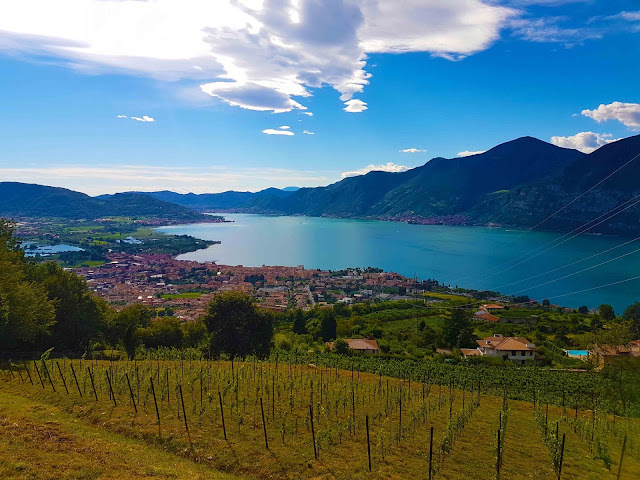 Franciacorta is a sparkling wine from Italy’s Franciacorta region in the heart of the Lombardy region, just south of Lake Iseo. The word Franciacorta defines a territory, production method, and the wine. 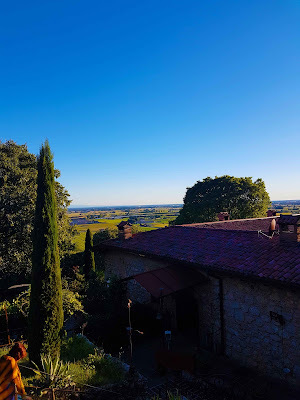 It’s likely both the Italians and the French will be annoyed about this comparison, but Franciacorta is Italy’s equivalent of champagne, in terms of quality, and the production method. The two can’t be compared in size however – the Champagne region makes around 300m bottles a year, compared to Franciacorta’s 17.5m. And that figure can’t increase by much, due to strict rules on the geographic area. 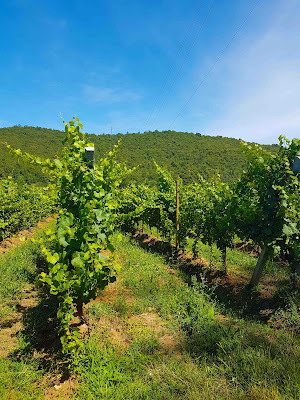 Franciacorta has been a bit of a well-kept secret, with the region only exporting 15% of its annual production, but it wants to up this to 30-40% over the coming years. Japan, Switzerland, and the USA are the top three export markets, with the UK market growing all the time (albeit from a very small base), so hopefully we’ll be seeing more Franciacorta coming our way soon. Don’t go expecting prosecco prices though – this fizz is high quality and you’re definitely looking at champagne costs. That's if you're drinking it in the UK... in Italy, you can get it for around 25euros in a restaurant, and 15euros in a shop. 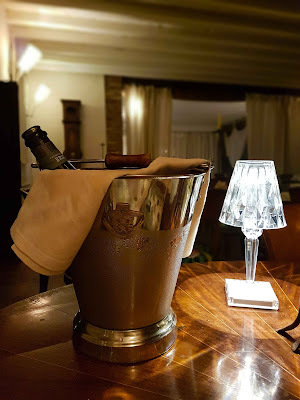 What is Franciacorta and how is it made? There are quite a few rules surrounding Franciacorta production – established by the Franciacorta Consortium which was founded by 29 producers in 1990. There are 117 wine cellars associated with the Consortium today. 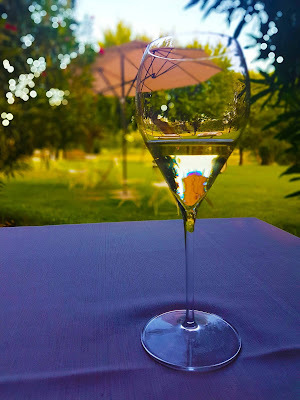 Franciacorta is made of Chardonnay (80% of the region’s grapes), Pinot Noir (15%) and Pinot Blanc (5%) grapes – with Pinot Blanc making up a maximum of 50% of the blend. 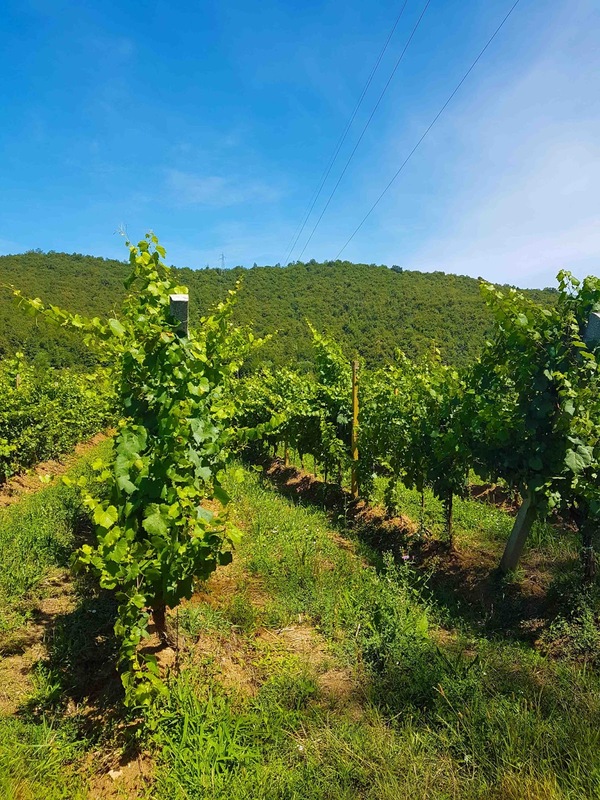 There are a total of 3,150 hectares of vineyards in the region, with 2,800 producing Franciacorta DOCG, and 350 producing Curtefranca DOC still wine. The grapes must be picked by hand, and the grape harvest must happen after August 10th and before September 10th each year. Each vineyard’s grapes are processed separately, and pressed gently to get the best quality juice. Once the grapes are pressed, the juice is used to create the base wines. The following spring (after the grapes have been picked in the autumn), the base wines are combined – sometimes with base wines from different years. Sugar and yeast is added to the cuvee (mix of base wines) in the bottle, and the wines undergo a second, slow fermentation. This is where the bubbles come from (carbon dioxide), and when the pressure increases, getting to six or seven bars. The wines undergo the second fermentation for different lengths of time. They’re stored horizontally in the cellars and left to develop with a metal cap on. What are the different types of Franciacorta?
. Franciacorta non-vintage must be left on the lees (yeast sediment) in the bottle for at least 18 months, and not be released until at least 25 months after harvest.
. Franciacorta Satèn and Franciacorta Rosé Non-Vintage (minimum 25% Pinot Noir) must be aged for at least 24 months on its lees. Satèn is unique to the Franciacorta region. It’s a blanc de blancs (made only with white grapes), and is bottled at a lower pressure to the other wines. The result is a less fizzy wine with a smooth – or satin-like – mouthfeel.
. Franciacorta Vintage, Franciacorta Vintage Satèn and Franciacorta Vintage Rosé – or Millesimato – must be aged for at least 30 months on its lees, and can’t be released until at least 37 months after harvest.
. And Franciacorta Reserve, Franciacorta Reserve Satèn and Franciacorta Reserve Rosé requires at least 60 months on its lees. So, it’s not a quick process – and there’s more to do after that. After the time’s up, the bottles are moved to special stands (called pupitres) where they’re rotated one-eighth of a turn every day, and inclined a bit more each day, to move the sediment and the yeast to the neck of the bottle. This takes three-four weeks. While a few of the smaller Franciacorta vineyards still do this the traditional way, turning up to 15,000 bottles a day, most of them now use large metal cages which completely automate the process – and save a lot of time and tired hands. Then it’s time for disgorgement. The bottles are immersed upside-down in a refrigerant which freezes the top of the bottle, trapping all the yeast that’s left in the bottle. The metal cap is removed, and the pressure of the liquid in the bottle forces the icy bit out. A very small amount of wine is lost in the process, but to bring the wine back to the original level, a small amount of wine (for Zero Dosage – no added sugar) Franciacorta, or a liqueur de dosage – base wine and sugar – is added. The bottles are sealed with the classic mushroom cork and a wire cage, and labelled with the official seal that certifies Franciacorta’s DOCG status (Denominazione di Origine Controllata e Garantita). Like champagne, different types of Franciacorta are distinguished by the amount of sugar added to them after disgorging, which gives a different character to the wine. Pas Dosé – residual sugar naturally contained in the wine up to 3g/l (grams per litre). 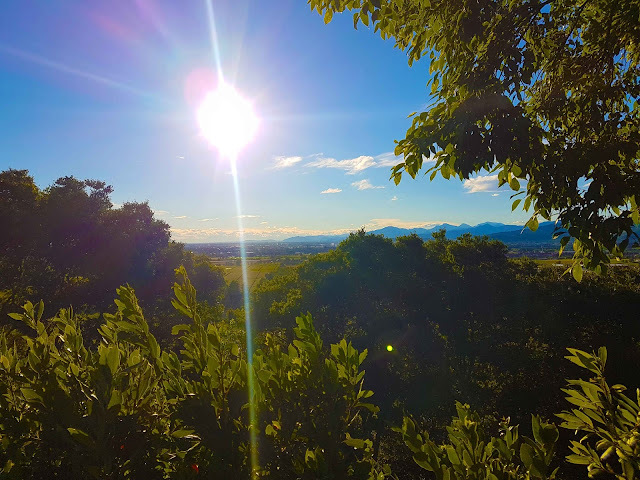 In most cases, there is less sugar in Franciacorta than in Champagne as the grapes have more exposure to the sun, and ripen more fully, so less additional sugar is needed. Currently, 70% of Franciacorta’s land under vine is certified organic, and the plan is to have the entire region certified organic by 2020. While Franciacorta makes up the majority of wines produced in the area, there are some still wines being made: Curtefranca DOC red and white, and IGT ((Indicazione Geografica Tipica Sebino). You may have noticed from the pictures above that Franciacorta is not drunk out of a champagne flute. History and convention has always said this is the best way to drink sparkling wine, but now, more wine producers, critics, and glassware designers are coming around to the fact that slim glassware can dull some sparkling wines – with a larger glass allowing more flavour-enhancing aeration to occur. Compared with champagne saucers, the Franciacorta glasses taper back in at the top, recapturing the nose. 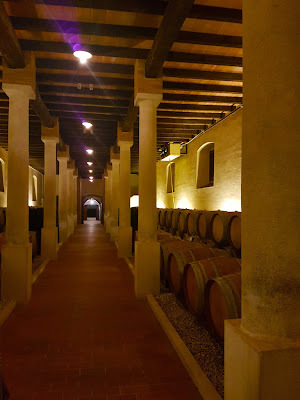 It’s best to store your Franciacorta in a cool, dark place, at 10-15 degrees Celsius, with 70-75% humidity. And it’s best served between 8-10 degrees Celsius.